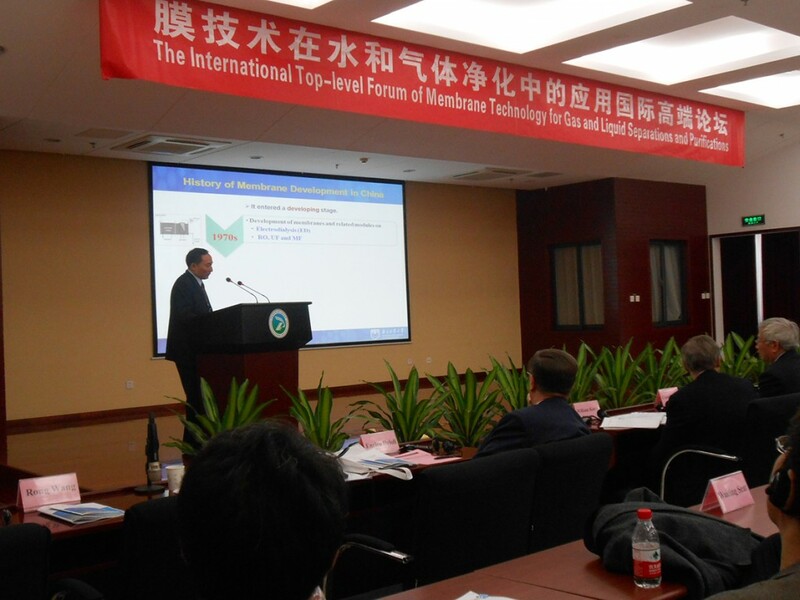 Professor Wanqin Jin was invited to deliver the conference report on the International Top-level Forum of Membrane Technology for Gas and Liquid Separation and Purification held in Beijing on Oct. 16th, 2013. 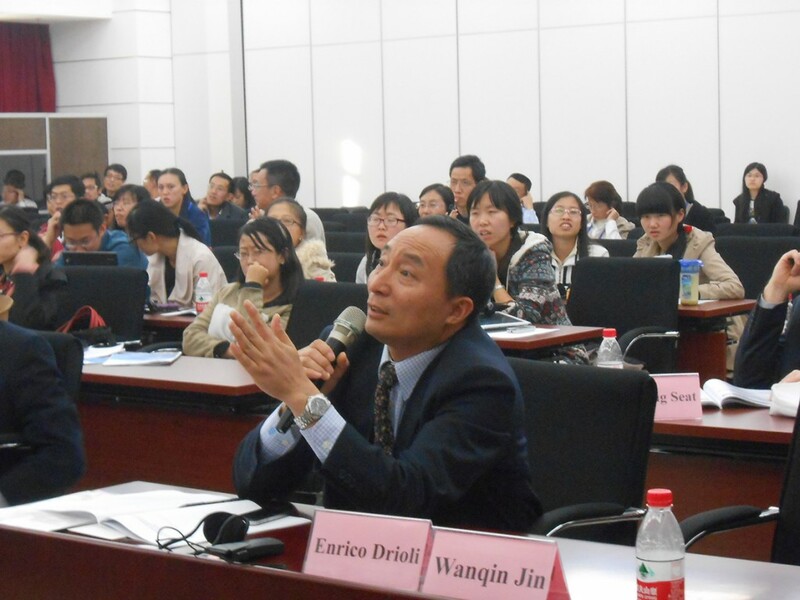 He made a conclusion on the development of membrane science and technology and mainly introduced the ten-year cases of application of series of typical membrane material and its industrialization. Including mirco/ultrafiltration membrane, organic nanofiltration membrane, pervaporation membrane, gas separation membrane, ion exchange membrane, porous ceramic membrane, zeolite membrane, mixed oxygen ionic membrane, metallic membrane and other new types of membrane material. Having focused on the development of high performance membrane material, the goal the “Twelfth Five-year” development of science and technology special planning on membrane separation, he presented that our national membrane technology should mainly cover fields of developing water treatment, gas separation, special separation and new types of membrane. Design of mechanism of mass transfer and membrane process should be strengthened, and theory system of membrane material design and synthesis for application should be constructed. Only if related work above is done, will our country become Membrane Power country.